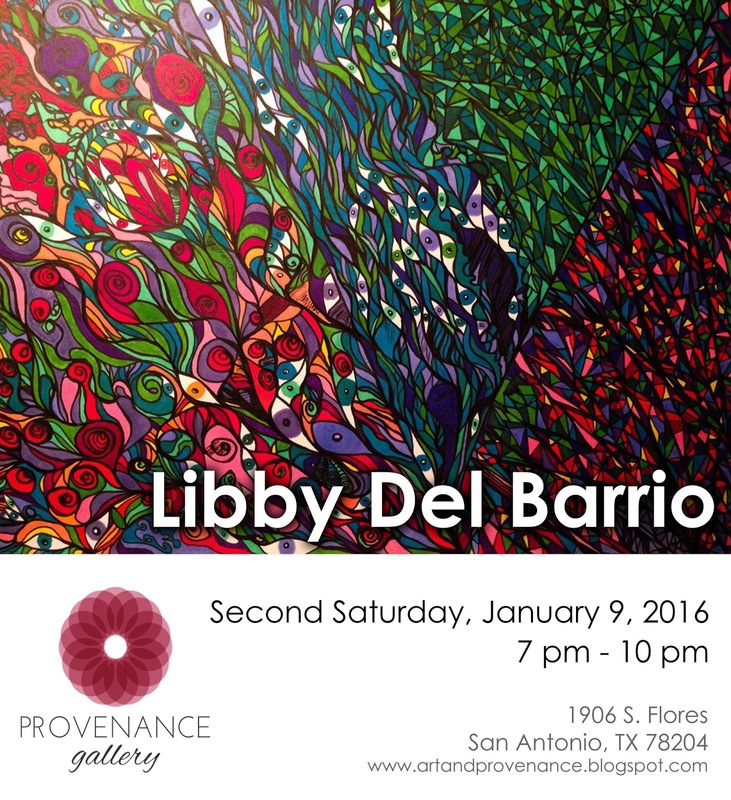 Join us on Second Saturday, January 9th for the Opening Reception of an exhibition featuring the work of Libby Del Barrio. "I draw shapes, forms, fragments, visions that cannot be described in words. When you close your eyes, what do you see? Yes, darkness. But darkness moves. It waves and dissolves until your subconscious takes over. These are my dreams, nightmares, memories, pain, happiness, beauty in all it's disguises. We are intimidated by what we cannot "see" in this "reality". But when we allow ourselves out of our bodies, what we once feared to be Hell is actually the most beautiful place to be in all existence. Whether it is real or not, we control it, be it evil or good." Exhibition will be on view until February 6th by appointment.